Vince Martin, one of the finest world-traveld Vocalist/Guitarist and Entertainers in the business. St. Louis’ best-kept secret has the vocal characterisics of George Benson, Al Jarreau, and Elvis Presley and the instrumental prowess of Eric Clapton, Carlos Santana, and Albert King. An all around amazing musician, highly skilled in many different facets of music, Vince Martin will blow you away with his silky smooth vocals and amazing instrumentals. 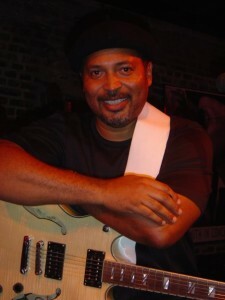 Highly skilled in many instruments, most notably guitar, trumpet, and bass, Vince Martin will be performing at the 2012 Whitaker Music Festival on June 6th. Feel free to familiarize yourself with him by watching the videos below.